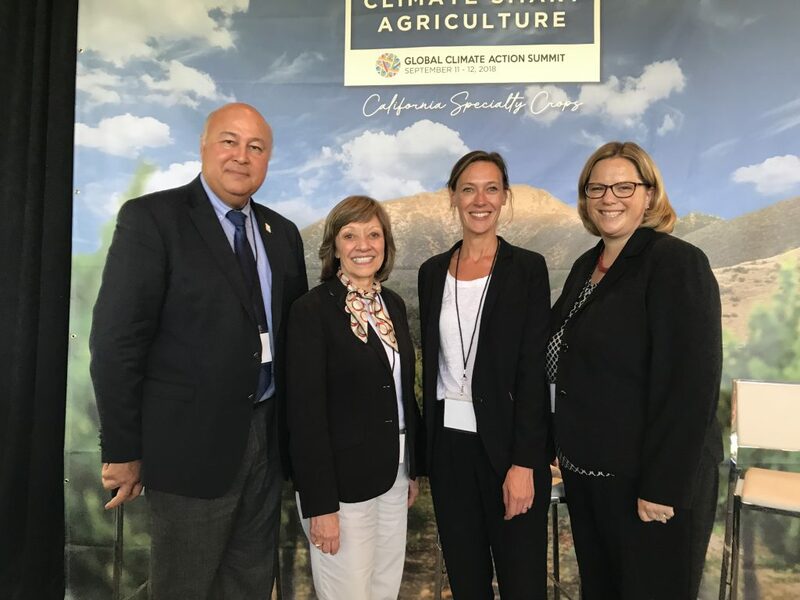 Today, at the Global Climate Action Summit in San Francisco, the government of California announced the launch of a Global Soil Health Challenge in partnership with France. The challenge calls on governments across the world – both national and sub-national – to include programs that restore soil health under their national plans to meet their targets under the Paris Agreement. Currently, only 8 governments include programs on soil health in their Nationally Determined Contributions (NDCs). Yet boosting soil carbon is relatively easy, through low-tech sustainable agricultural practices. These measures not only help fight climate change, but increase biodiversity and food security too. California has invested over $700 million to date in climate solutions for agriculture, which include the on-farm strategies for soil carbon sequestration. The state has specifically committed $22.5 million in climate investments for soil health ­– the first climate commitment for soils in the US. The funds come from the state’s cap-and-trade carbon pricing program and voter-approved bond money. The announcement follows the launch of a new digital hub from the 4 per 1000 Initiative, backed by the governments of France, Germany and Spain. If carbon was increased in soils by just 0.4% per year, the reduction in carbon dioxide from the atmosphere would correspond to all annual man-made greenhouse gas emissions – hence the name of the 4 per 1000 Initiative. The platform will enable international collaboration between scientists, farmers and financiers on an ongoing basis in efforts to reduce net greenhouse gas emissions by capturing more carbon in the planet’s soils.